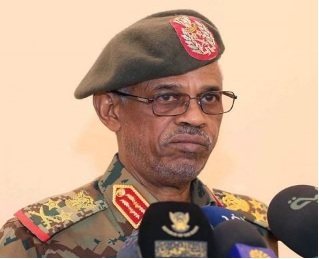 The Sudanese Defence Minister, Awad Ibn Auf has resigned from his post and announced his successor as Lt-General Abdel Fattah Abdelrahman Burhan. The Sudanese army announced that they will led government for two years before handing over to a civilian government. The protestors were not amused by that decision and said that they will not leave the street until the military hands over the mantle of leadership to a civilian government. It is amazing that it is the increase of price of bread that toppled Bashir from power following months of street protests. The new head of military is another top military leader but Western media such as Associated Press believe that his record is cleaner than that of the other generals in Sudan. Former President Bashir is indicated by the ICC on various charges such as genocide and war crimes as well as crimes against humanity. These charges emanates from Darfur conflict. Bashir is likely to be put on trial in Sudan over various crimes and the Military Council has communicated that they are not planning to extradite him to face trial at ICC in Geneva.